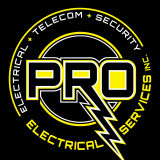 Commercial and Residential Electrician. Also HVAC installation and services. 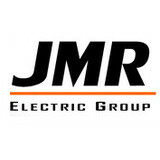 We are a Seacoast NH based Electrical Contracting company. Licensed in NH, ME, & MA. We take pride in our work and have positive outcomes. We thrive to be the best. We appreciate each and every customer. Our values are... Honesty. Trust. & Dedication. Solnetic Solar provides Complete Electrical Services Including Generators & Lighting, Solar Panel Electric Generation Systems, Power Storage Systems for Renewable & Grid Power, Service & Maintenance, and Smart Home & Business Energy Systems backed by a dedicated local sales consultation, design, installation, service, and warranty support team for residential, commercial, and government customers in MA, NH, and ME. Christopher A. Deao Electrician, LLC is a fully licensed and insured full service electrical contracting company based out of Middleton, MA. With over 25 years of experience, our mission is to provide quality, clean, safe affordable and friendly services to you. While maintaining a consistent A+ rating with the BBB and been awarded the BBB certificate of satisfaction for excellence 7 years in a row, we are committed to continually provide our customers the very best in electrical installations. We offer residential and commercial services including, but not limited to, service upgrades and repairs, knob & tube removal/remediation, interior and exterior lighting, LED recessed lighting, holiday lighting, under cabinet lighting, flat screen TV wiring and installation, home theater wiring, surround sound, security camera systems, fire alarm systems, bathroom exhaust fans, ceiling fans, appliance wiring, switches, outlets, fixtures, generator transfer switch installations, generator system installations, wiring for heat and AC systems, electric car charging systems, solar power, rewiring of old houses, new construction, additions, remodels, kitchens, bathrooms, diagnostic, troubleshooting and repairs and much more. Rewiring older homes is our specialty. We also specialize in the removal, rewire and remediation of knob & tube wiring. We proudly serve Boston's North Shore, Essex county, parts of Middlesex and Suffolk counties and beyond! Backed with 15 years of experience, we have the knowledge to handle any electrical work you need completed. POWERHOUSE Electrical Services is a licensed and insured electrical service company dedicated to providing residential and commercial electrical services to Boston and the North Shore. What do licensed Weare electricians do? An electrical contractor plans, installs and repairs wiring in structures. He or she works closely with the home’s general contractor or remodeling contractor to determine the specific electrical needs for the project and to ensure that the wiring will meet Weare, NH building codes. An electrical contractor’s job also includes installing and repairing fixtures, switches and other visible components of electrical systems. With today’s technological needs and advances, many electricians in Weare, NH also are trained to install fiber optic and coaxial cables for electronic equipment. Certain electrical companies may design and install data systems and wire for security features such as alarms too. Some Weare electrical contractors specialize in specific areas, such as HVAC, low-voltage appliances and systems and more, so be sure to ask about their training to see if it fits your project needs. Find a certified Weare electrician on Houzz. Narrow your search in the Professionals section of the website to Weare, NH electrical contractors. Here are some related professionals and vendors to complement the work of electricians: Lighting Showrooms & Sales, General Contractors, Solar Energy Contractors, Heating & Cooling Sales & Repair.